Some time ago I made this mini quilt for the Modern Mini Quilt challenge and I always thought it would be fun to have a go at a larger quilt with a block like this. I recently stepped up to fill in a quilter position in my do. Good Stitches circle, Haven, and November is my first month as quilter. I really want to make a really cool quilt, but since November is a busy month I don't want to cause a burden for my bee-mates by having something uber complicated. Enter the "Between the Lines Block." 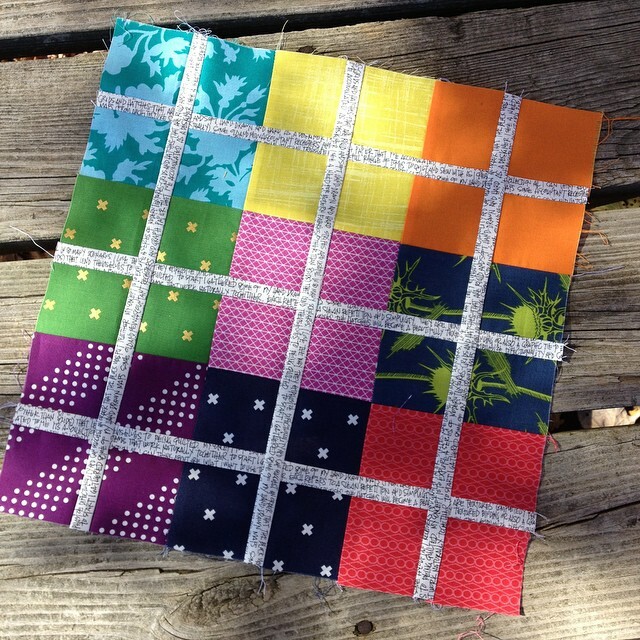 You can probably figure this block out without a tutorial, but I'll make it easy if you are interested in making one (or a quilt's worth). 1. 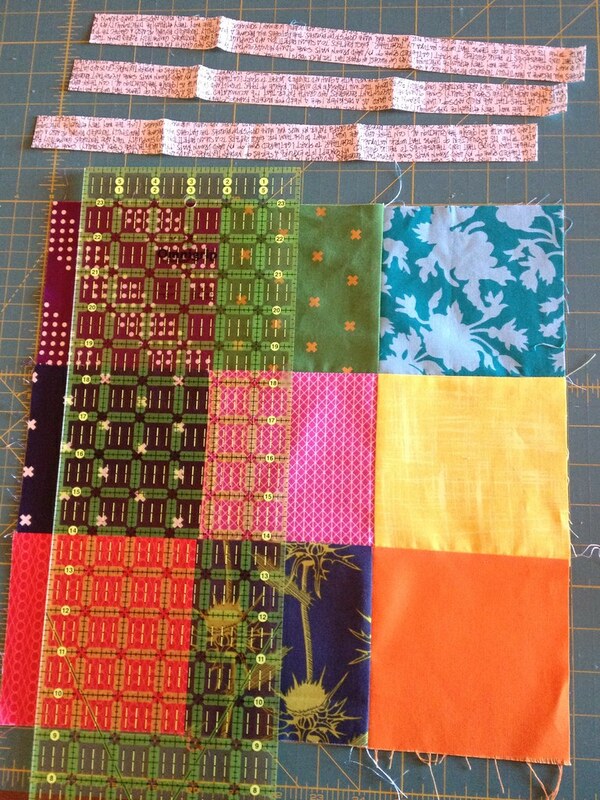 Make a nine patch block using 5" square blocks, sewn with 1/4" seams. Press everything nicely. 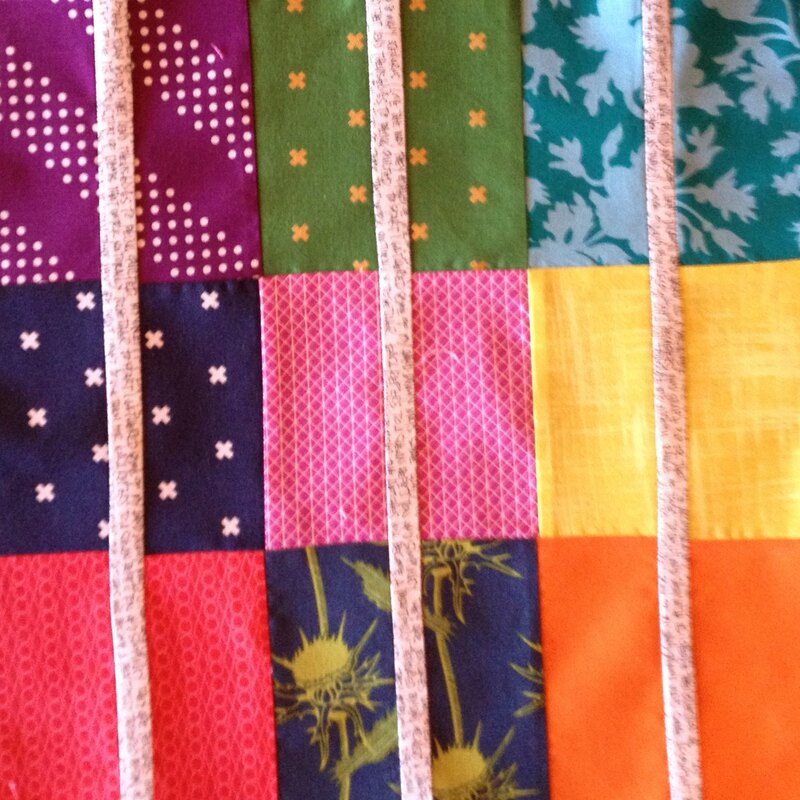 It should measure 14" square once you have them sewn together. 3. Now you just need to repeat step two, but this time make the cuts on the horizontal axis. If you make a block (or use any of the other tutorials on my blog) I would love to see it in the petit lyons flickr group! Courtney, this is a great little block! Honestly, I first thought you had made all the squares individually with crosses in them and sewed them up with precision. Haha! Great short cut. Best wishes on your DGS quilt! very cool block! I love how colorful it is and it should be a quick make. thanks! I've been trying to figure out how to do something very similar to this. Thanks for the tutorial! Great block. Thanks for sharing the tutorial.